Ayuda is very pleased to announce the results of a series of record breaking clinics this past week. 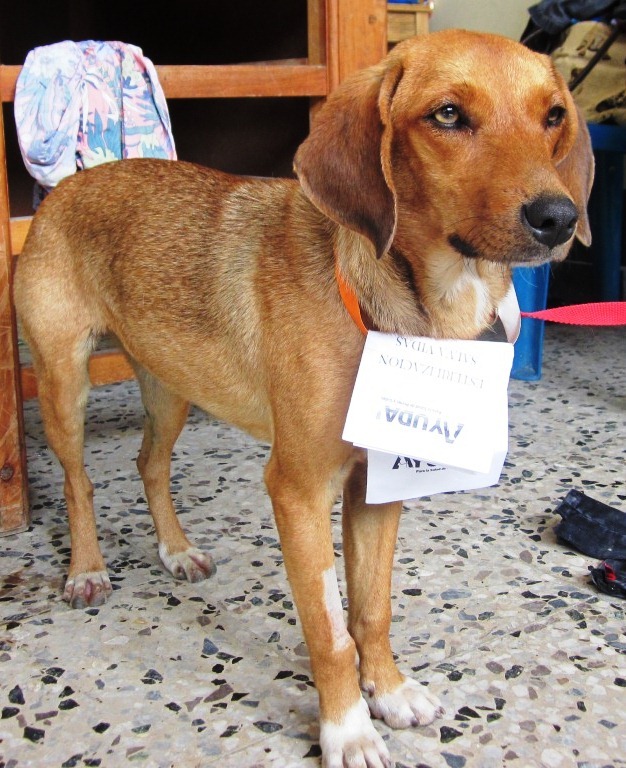 173 animals received medical treatments through the collaboration of our latest visit by a team of World Vets veterinarians and vet techs, and the tireless work of volunteers from Santa Cruz, Jaibalito, San Marcos Laguna, San Pedro, and Panajachel. 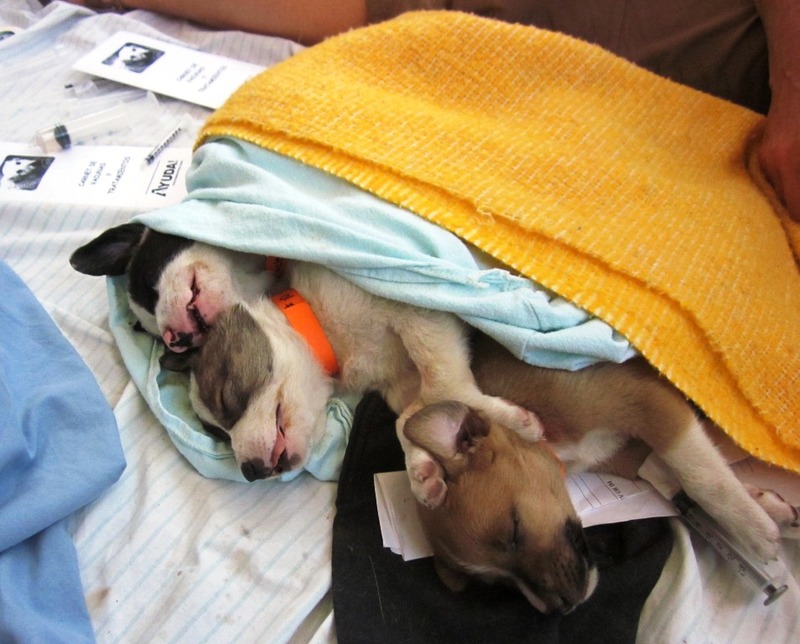 The treatments included spay/neuter, vaccinations, worming, flea treatments, and other health care as needed. Many caring pet owners brought their dogs and cats to be spay/neutered. During 2 days of clinics held in the Santa Cruz Municipal Salon, 103 dogs and cats were treated, which included 25 animals brought by private boat from Jaibalito. 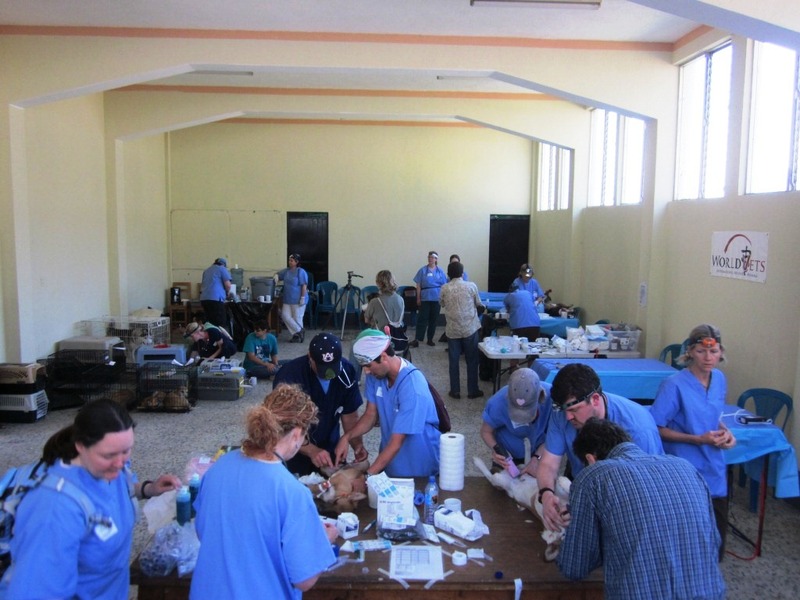 70 dogs and cats were treated during a 1 day clinic held at the San Marcos Oficina de CONAP. Of that number, 10 were brought by boat from San Pedro. Using a standard population forecast model for animals, the results of this week’s work has prevented 5,092,000 dogs and 4,070,000 cats which could have otherwise been born over the next 6-7 years. 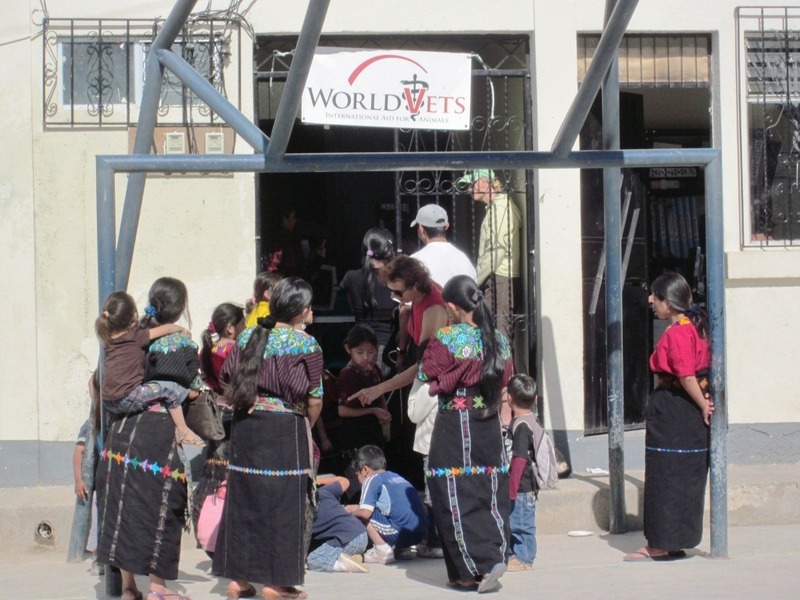 This was the third series of clinics held through the partnership between World Vets and Ayuda, as enabled through the generous support of the Brigitte Bardot Foundation. We look forward to the successful continuation of this powerful working relationship for future clinics in the Lake Atitlan region. Besides the success inherent through the numbers, it was the turnout of support from the communities themselves which greatly calls for celebration and acknowledgement. Volunteers went door-to-door in the weeks before the clinics to make sure residents knew about the benefits of sterilization and the dates and location of the clinics for their village. The mayors of the villages promoted the clinics through public announcements. Health department employees were made available to help with record keeping and indigenous language translation services. Residents donated their time, meals, and cash donations to help with expenses, as well as donations of back rubs and massages for the clinic team as the volumes of treatments and long days took their physical tolls. The list of thank you’s for this week is extensive. Please let us know if we’ve accidentally overlooked anyone. From Panajachel: Lungi, Christine, Madi, Kristen, Cali, Larissa, Kelly, Alan, and Kenneth, and special thanks to Pana Super and La Palapa for their kind donations of food and beverage. Extra special acknowledgements go out to Tanja. 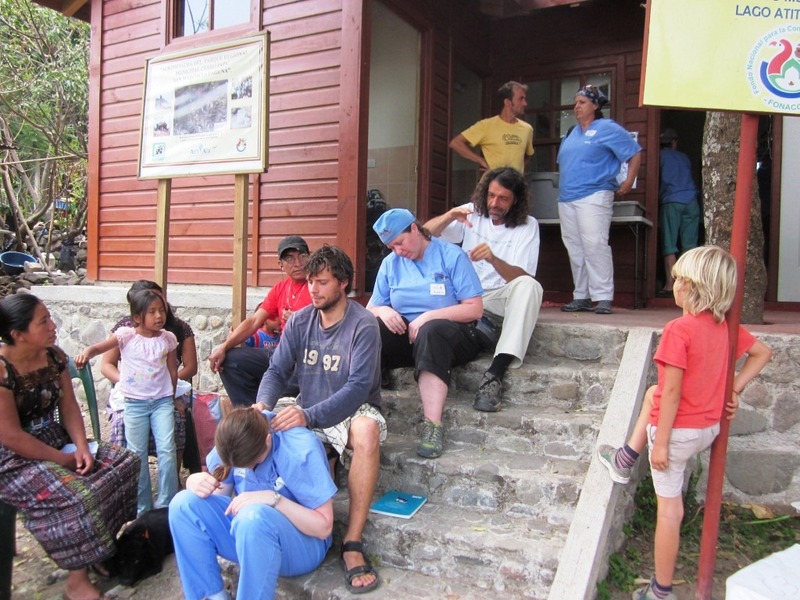 This was Ayuda’s first clinic in San Marcos. Tanja did a spectacular job in acquiring and securing the clinic facility in that village, as well as educating and engaging her entire community for support and participation. She also acquired food and serving donations for a generous and tasty lunch for the working team. Perhaps just as important and impressive, Tanja (a non-Guatemalan) actually got the muni to halt their feria’s celebration bombs while the clinic was underway! And last but not least, a special thank you to Lee, who donated his time, boat, and employees from his eco-tour business to show the WorldVets visitors an extra special day on the lake during their free time. MUY MUCHAS GRACIAS FOR GIVING US A HEALTHIER LIFE!